Even when reviewers give your store and brand five-star notices, there will almost always be at least a few cranky-pants posts, too. A set of studies at Fairleigh Dickinson University, William Paterson University, and University of South Carolina finds that the effect on the shopper depends on the nature of the shopper’s thinking. What philosophers call “dialectical thinking” consists of accepting that two apparently contradictory statements could both be true. The positive and the negative reviews could both be completely accurate in this case. People in the habit of dialectical thinking would integrate the critique into their reasoning. They’d probably ask you about the negatives, which gives you the opportunity to respond. In the research studies, consumers low in dialectical thinking struggled with purchase decisions and had limited confidence in making a purchase decision when faced with contradictory reviews. Dialectical thinking is most common among Asian cultures. It’s represented well by the yin-yang symbol. Most North American and European consumers are low in dialectical thinking. For them, when a sprinkling of negative reviews contradicts an abundance of positive reviews, they’ll do their best to push away awareness of the negative ones. They will look at the average number of stars and try to ignore the bothersome details. The problem is that the negatives still nag at them subconsciously and so can interfere with building customer loyalty. However, this was less true when the shopper was an expert about the product category. 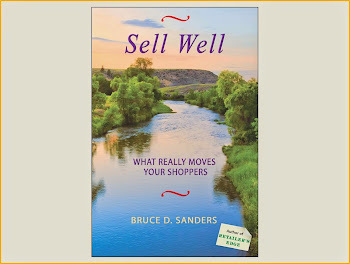 The best way around the problem, then, is to build the shopper’s expertise. An odder way to handle the problem comes from New York University and Arizona State University research: Tilt the shopper’s mind toward dialectical thinking by showing symbols of Asian culture. They took some of their study participants, all Americans of European descent, on a walk through New York’s Upper East Side and the rest through Chinatown. The Chinatown strollers became more dialectical afterwards. Oh, can’t take every one of your shoppers out for a stroll? Having the yin-yang symbol in view worked a bit, too. For years, I’ve been advising retailers to dazzle their customers. This was before the research from Georgia State University, Columbia University, and China’s University of International Business & Economics which concluded that customers comfortable with their purchasing, compared to customers who are thrilled, are not much less likely to recommend the retailer. It would seem that retailers can save themselves time, money, and trouble by being comfortable with customers being no more than comfortable with purchase decisions. The explanation for the researchers’ findings has to do with the different categories of emotions consumers experience related to their purchases. Consumer psychologists talk about integral, incidental, and task-related emotions. Integral emotion comes directly from the item being considered for purchase. It might be the delicious pleasure arising from the experience of tasting the sample of ice cream or the piercing grief when deciding on funeral arrangements for a loved one who has died. Incidental emotion consists of the complex set of feelings the shopper brings to the situation. The husband might be relieved at finally being able to buy a new TV, and the wife might be irritated because her mate cajoled her into coming to the store to shop for that same TV. Incidental emotion is open to change once the shopper has arrived in your store. But there are limits. Some people are, by nature, happy or sad or angry or tolerant. The amount of emotion the retailer expresses also makes a difference. Task-related emotion arises from the process of choosing among alternatives in the store. The expert might feel pride from the process, but task-related emotion is much more often a negative feeling like frustration. When the frustration is strong, the consumer goes for shortcuts. This might be choosing the last item you showed them just to keep it easy. The Georgia/Columbia/China research finding has to do with task-related emotion. People are pleased to get the decision over with and fly away. They don’t need to be thrilled to conclude they’ve received fair value. Still, I’ll continue to urge retailers like you to dazzle. It has advantages other than stimulating store recommendations. And it does not need to incur high costs. Research and experience indicate all it might require is consistently keeping your promises. Do you promise the lowest prices in the area? The broadest selection? The latest distinctive merchandise? The quickest checkouts? Whatever it is, provide it. Then the Stockholm researchers moved on from the prehistoric savannah to the retail sales floor, where they found that those other people making us feel better could be store staff and those others do not even need to interact with us for it to work. The mere presence and visibility of a hospitable employee significantly increased both shopper pleasure and purchaser satisfaction. This state of mind wouldn’t mesh well with good retail customer service. The interception rate would suffer mightily. Business researchers define “interception rate” as the percentage of consumers entering a shop who are spoken to by a salesperson working for that shop. The idea of attending to fruitful contact with each shopper is an important one. Such contact enhances the probability of closing a sale and convincing the customer to return to the store. I do agree, though, that the “interception” part of the term makes it sound like the salesperson is blocking the shopper’s path, which is a pretty bad way to earn good will. The Stockholm research reassures us that we don’t need to swoop in immediately. We can acknowledge the shopper, then be present for a bit. In these cases, why would a shopper initiate the contact? Researchers at Justus Liebig University and Zeppelin University say some of the reasons are what you’d expect. It happens when the shopper knows what they want, but isn’t sure which of the available alternatives to select. No surprise that this is a factor. Still, the research findings did provide a twist: To raise the interception rate, train yourself and your staff to sense how much time and mental energy the shopper wants to spend considering the shopping decision. If a shopper fears that you’ll be giving too much information in reply, they’ll avoid asking you. You will sell more sweet desserts at your restaurant and sweet treats at your candy counter if you hand out a hand cleanser before asking. Researchers at Iona College, Baruch College, and University of British Columbia had groups of consumers either wash their hands or not wash their hands prior to being asked to select from more hedonic or less hedonic food items. Those consumers who washed their hands showed added interest in the pleasure-oriented foods. Similarly, washing hands after eating a sweet item reduced the amount of reported guilt about the indulgence. One explanation for this effect is that cleansing the hands washes away raging emotions. This was seen with the endowment effect. The “endowment effect” refers to people placing a higher value on objects they own than equivalent objects that they do not. Among other consumer behaviors, it helps explain why people resist selling used items at a price others will find attractive and why people hesitate tossing foods with an expiration date from last week when they wouldn’t eat the same food at a friend’s house if the expiration date had passed. Researchers at University of Vienna came across a novel method to ease bias from the endowment effect for both retailers and shoppers, for both physical goods and virtual goods. That method is hand washing. The researchers asked groups of study participants to consider exchanging an owned product for another item which was of objectively equivalent value. The endowment effect would cause the participants to overvalue the owned item, and so decline the opportunity to trade. Those who washed their hands were twice as likely to do the exchange as those who didn’t wash their hands. Another explanation for the rise in sales of sweets after hand cleansing has to do with closure. “I washed my hands of the whole matter,” is a well-worn way to say we’re moving on. The cleansing ritual frees us up for the switch from entrée to dessert. Acts of closure work afterwards, too. Researchers at London Business School presented shoppers 24 chocolates and asked each to select one to eat. Some of the people were asked to replace the lid on the tray before eating the chosen chocolate. The rest of the people were not asked to replace the lid. Afterwards, those who had replaced the lid reported higher enjoyment and more confidence they had made a good choice. Okay, it’s an old joke. Which explains why I thought of it when considering how slapping prices on psychologically adjacent item categories influences your store’s price image. Store Price Image (SPI) is the general belief your target markets hold about the level of prices your store charges compared to what other stores charge for similar items. Studies at New York University, Tel Aviv University, and IDC Herzliya conclude that shoppers usually choose a retailer they believe is less expensive more often on the items that interest them than a retailer they believe is consistently cheapest on average over all items carried. Keeping the everyday prices of these items low or, better yet for most small to midsize retailers, regularly discounting them will have a minimal impact on your store profitability. Yet, what of the situation where it would eat into your profitability excessively to consistently discount a particular item category which attracts your shoppers? Here’s where my slap joke comes into play. 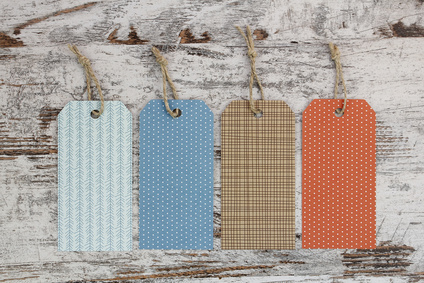 A set of studies at University of Auckland and Unitec Institute of Technology showed how consumers tend to group their impressions of item categories in certain ways. Most of the groupings in those studies seemed perfectly obvious: Consumer electronics with computer hardware/software and electronic games/consoles, for example. The reason for other groupings took more thought: Sports equipment with toys, vehicle accessories, and collectibles. Once you’ve figured out how your store shoppers group their impressions of products and where deep discounts would do less damage to your bottom line, discount a category associated with the category that’s popular, but where regularly discounting that one would eat away excessively at profits. Keep your business in shape by slapping down prices on the category next to the troublemaker. You can’t make everybody happy. But you’d think that if you do satisfy customers, they’d say that the product or service they got from you was more valuable. It often doesn’t work this way, according to University of Tulsa researchers. Season ticket holders for a National Hockey League franchise were asked for ratings of satisfaction with customer service and value from their ticket purchase. The finding was that many of the fans believed they were entitled to great customer service and therefore didn’t think great customer service added value. This falls in line with another set of findings at University of Georgia and University of Southern California, which looked at a variety of retail purchase types more typical than sporting events. Here, too, customers who believed they were entitled to great customer service weren’t particularly impressed when receiving it. Actually, customers might not even notice if you do manage to exceed expectations unless the excess is dramatic. When shoppers’ expectations are exceeded, shoppers with a sense of entitlement often take it for granted and don’t give lots of credit. It’s when expectations are not met that there’s an impact on the entitled customer’s evaluation of value. The risk in aiming to always exceed expectations is it nudges expectations up for the next time the customer visits. At some point, it is no longer profitable for you to keep raising the bar for yourself. For two reasons, this entitlement split between satisfaction and a sense of value is especially strong with retail transactions like those NHL tickets. First, season passes to name-brand sporting events are expensive, and when you’re paying a lot, you do start to feel entitled. Second, fans of a team tend to consider themselves part of what are known as “consumer tribes,” and members of such tribes reinforce each other’s sense of entitlement. Whatever you’re selling, when a group of your customers share not only an allegiance to your store, but also a passion for shopping with you, and when those customers share their passion with each other, you’ve created a consumer tribe. Historically, consumer tribes have been more exclusive than inclusive. A source of the members’ emotional devotion was a conviction that they were distinctive. However, in the interest of getting better returns on your customer service work, I recommend you encourage fans to invite others in rather than you creating a sense of entitlement for tribe members. Trade winds influence how fast a jetliner can fly east-to-west. Trend winds influence how high a retailer can fly up in profitability. For as long as the trend is driving sales consistently, the retailer can hold on as effortlessly as a kid would hold onto a kite flying in a consistent breeze. However, when the breeze dies or switches direction, the kite can promptly come crashing down. Monitor trends. Sometimes you can predict with high accuracy when the changes are about to happen. A classic example is the nature of American fashion trends in the 1940s. In recent years, researchers at Florida State University and Texas State University systematically evaluated the effects of War Advertising Council posters issued during World War II that urged women to make the best use of limited resources without yielding their individuality. The resulting trends included slimmer profiles and shorter hemlines in clothing in order to conserve fabric and more durable textiles in order to prolong the life of garments. Predictably, when WWII ended, these trends moved around. Spotting trends within trends improves your retail profits. In 2012, fashion clothing and shoe sizes began trending larger while fashion accessories were trending smaller. Large handbags—15 to 18 inches tall or wide—were highly popular before the Great Recession, but during the recovery accounted for only about 26% of dollar sales. Pulling ahead were midsize handbags—at least 12, but less than 15 inches tall or wide—which accounted for 43% of dollar sales. This during the same period that car companies were positioning pedals farther apart for bigger and wider feet and toilet seats were getting larger to accommodate expansion in other areas. 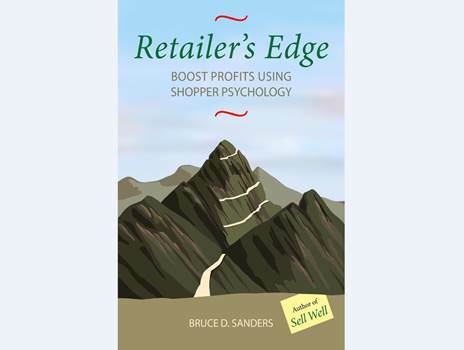 Understanding the shopper psychology rationale for trends within trends or the relationships between associated trends gives a bonus lift. Researchers at Cornell University, State University of New York-Binghamton, and State University of New York-Buffalo noticed that people were getting heavier and they were using credit cards more often to pay for food. Sure enough, there was a relationship. The researchers studied the shopping behavior of 1,000 households over a period of six months. They found that shopping carts had a larger proportion of fattening food items when shoppers were using credit or debit cards rather than paying by cash. It may have been that the pain of paying by cash led to shoppers exerting more self-control when conducting their food purchases. In the film “(Dis)Honesty: The Truth About Lies,” behavioral economist Dan Ariely asks a Duke University audience, “How many of you have told a lie since 2014?” The room fills with raised hands. Prof. Ariely goes on to explore various reasons we fib so often. 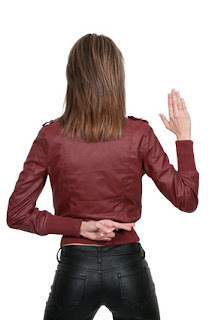 Most lies are innocent transgressions, but they become a nuisance when a shopper or customer is lying to you. It’s harder to make the sale and to ensure the customer is satisfied when they’re failing to answer your questions honestly. Psychologists have identified nonverbal indicators a customer is lying. For instance, eyeball the eyes. Liars shift their gaze rapidly, or in an effort to control this sign, the liars gaze at something aside from your face. If you say, “May I show you the item once again before you leave?,” they’ll resist looking directly at it. Disclose. In negotiating, there is information you will correctly choose to withhold. But if you are highly guarded, the other parties become suspicious, and that increases their lying. The information you do provide should be accurate much more often than devious bluffs. Set an example of trustworthiness. Remember what you asked. Rather than tell a bald-faced lie, many shoppers will fib more subtly by prevaricating. They evade answering directly. You’re still not getting the information you need to move the sale forward, and by time you’ve processed the answer, you may have forgotten what you were asking about in the first place. To avoid this, make it a habit to remember. Don’t hound the consumer, though. When you get an evasive answer, ask about something else and then later come back to ask again what you’d missed earlier. Consumers feeling isolated often find comfort socializing with salespeople. Handled professionally, such socializing leads to mutually beneficial opportunities for retailers to suggest purchases. Research results from University of Cambridge, Hong Kong Baptist University, and University of Hong Kong indicates that the selling probability is even greater when the products being suggested for purchase are anthropomorphized. In face-to-face interactions with shoppers, you could try out wording inspired by these examples and, depending on the response, determine how to move the sale forward. I do suggest toning down the cuteness a bit, though.